Receive the latest news, updates, and contribution opportunities from ACLJ. Imagine living day to day afraid for your own life because you worship Jesus Christ. To make matters worse, what if it is your own government that is sponsoring the threat, or even is the threat itself? Tragically, this is the reality millions of Christians face every day around the world. The ACLJ is fighting to put an end to these threats and protect individuals from persecution for their faith throughout the world. One of the ways we do that is by utilizing the Universal Periodic Review (UPR). In a prior post, we explained that the UPR is one of the ways that the ACLJ combats religious persecution in foreign nations through an accountability mechanism created by the U.N. Human Rights Council. Last month, the ACLJ continued our efforts by speaking out against Saudi Arabia’s heinous practices in our latest UPR report on Saudi Arabia. In Saudi Arabia, the Qu’ran is the supreme legal authority and the government interprets all decisions according to Shariah practices. Saudi Arabia focuses on ensuring the Islamic character of the country, and as a result, only Muslim religious practices are protected. Every day, Christians face criminal penalties, such as death or deportation, characterized in Islamic law as apostasy and blasphemy, for living out their faith. The government has even declared various religious practices to be acts of terrorism because they cast doubt on the fundamental tenets of Islam. Ultimately, the Saudi government allows the mistreatment of non-Muslims through its application of Shariah law. Take Nawal, a Saudi wife and mother who converted to Christianity and must keep her faith secret in order to survive in her own home. If her husband discovers her secret, under the Saudi law, he is entitled to either beat her until she converts back to Islam or divorce her. Furthermore, the Commission for the Promotion of Virtue and Prevention of Vice, otherwise known as the “religious police,” places restrictions on forms of expression including dress, religious emblems, and art in Saudi Arabia. The Commission requires all individuals in Saudi Arabia to “abide by its interpretation of Islam’s rules and its prophet’s directives.” In 2016, religious police raided the homes of, arrested, and deported 27 Christians holding a religious prayer service because non-Muslim church services, including home prayer and Bible reading, are illegal in Saudi Arabia. Saudi Christians face unspeakable persecution every day, and change can only begin when Saudi Arabia provides protection for religious minorities within its borders. In the 2018 UPR Report, we provide concrete measures the UPR Working Group can implement to lighten the burden of persecution in Saudi Arabia. 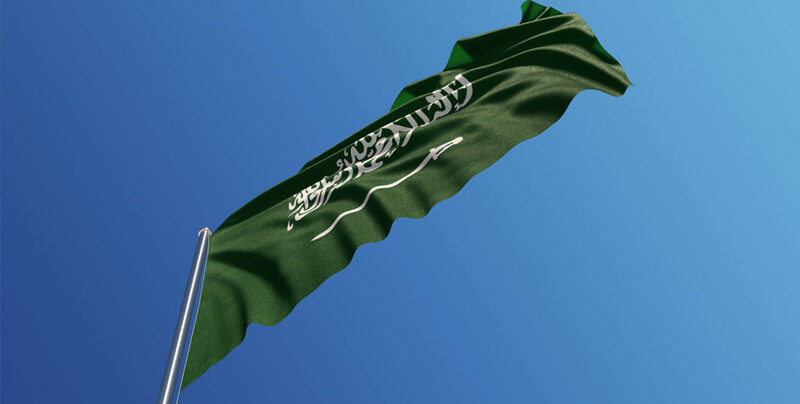 By shedding light on oppressive practices and procedures within the country, the ACLJ continues to advocate for religious freedom on behalf of Christians in Saudi Arabia. Make this a monthly tax-deductible gift. We’re mobilizing our offices worldwide to defend dying Christians. Support our vital work for the persecuted Church. Have your gift DOUBLED. Have your gift doubled through our Matching Challenge. Email Email Address is required. Name First Name is required. Credit Card Credit Card Number is required. Date -Month-01 - January02 - February03 - March04 - April05 - May06 - June07 - July08 - August09 - September10 - October11 - November12 - December Expiration Month is required. -Year-2019202020212022202320242025202620272028 Expiration Year is required. If you are having technical difficulties with our donation processor, it may be overloaded at the moment. Please refresh or check our site again in a couple of hours as we work to resolve any issues. For any questions or to make a donation by phone, please call our Member Services department at ‎1-800-342-2255‎. Our payment processor is overloaded at the moment. Please consider using PayPal to donate, or check our site again in a couple of hours as they work to resolve any issues. For any questions or to make a donation by phone, please call our Member Services department at ‎1-800-342-2255‎. Encourage your friends to sign and donate by sharing this petition. Thank you for making a donation! Thank you for making your generous, tax-deductible gift to the American Center for Law and Justice. Your support is greatly appreciated. A confirmation of your gift will be emailed to you shortly. To learn how we manage the resources you provide, click here. Telling the Stories of Persecuted Christians at the U.N.
Want to work for the ACLJ? The ACLJ is an organization dedicated to the defense of constitutional liberties secured by law. American Center for Law and Justice is a d/b/a for Christian Advocates Serving Evangelism, Inc., a tax-exempt, not-for-profit, religious corporation as defined under Section 501(c)(3) of the Internal Revenue Code, specifically dedicated to the ideal that religious freedom and freedom of speech are inalienable, God-given rights. The Center's purpose is to engage legal, legislative and cultural issues by implementing an effective strategy of advocacy, education and litigation to ensure that those rights are protected under the law. The organization has participated in numerous cases before the Supreme Court, Federal Court of Appeals, Federal District Courts, and various state courts regarding freedom of religion and freedom of speech. Your gift is very much appreciated and fully deductible as a charitable contribution. A copy of our latest financial report may be obtained by writing to us at P.O. Box 90555, Washington, DC 20090-0555.